Phi Kappa Theta teaches you valuable leadership skills by giving you the opportunity to serve on a committee, work with special projects, and serve as a chapter officer. in addition, you can attend regional and national leadership conferences. Employers, in their hiring decision, often sight leadership skills as their deciding factor. 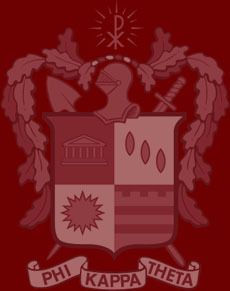 Academic achievement was one of the primary reasons Phi Kappa Theta was founded. The Fraternity will help you attain your scholastic goals through the use of study hours, tutoring from upper classmen, and a variety of educational resources. To encourage our members, the Phi Kappa Theta National Foundation provides scholarships to brothers who achieve high academic success during the school year. Phi Kappa Theta members across the country volunteer their time and efforts to a variety of local charities and organizations. Besides volunteer work, many chapters raise money for these needy organizations. You will have the opportunity to develop close friendships with the members of your chapter. In addition, inter-chapter visitations and regional and national leadership conferences will provide you with the opportunity to meet brothers from across the country. Developing social skills is important in today's society. 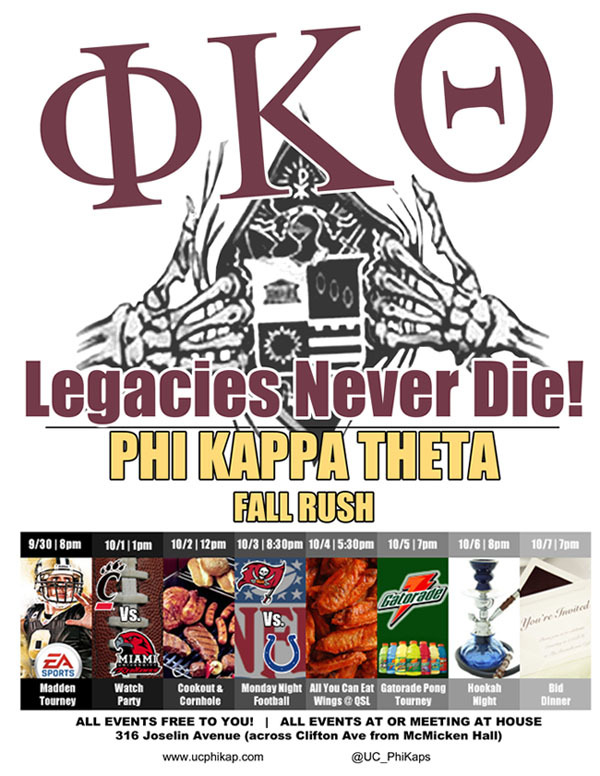 Phi Kappa Theta will provide you with the skills necessary for virtually any social setting from a casual get-together to a formal business dinner. Phi Kap chapters host faculty dinners, sorority exchanges and weekly formal dinners, thus providing an opportuniy to practice your social skills. Interested in rushing, but would like to see the house first? Send us an email at rushphikappatheta@gmail.com and we can set up a date for you to come down to the house for a tour and to meet some of the brothers.